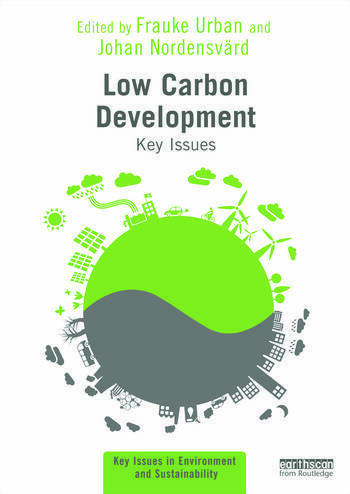 Low Carbon Development: Key Issues is the first comprehensive textbook to address the interface between international development and climate change in a carbon constrained world. It discusses the key conceptual, empirical and policy-related issues of low carbon development and takes an international and interdisciplinary approach to the subject by drawing on insights from across the natural sciences and social sciences whilst embedding the discussion in a global context. The first part explores the concept of low carbon development and explains the need for low carbon development in a carbon constrained world. The book then discusses the key issues of socio-economic, political and technological nature for low carbon development, exploring topics such as the political economy, social justice, financing and carbon markets, and technologies and innovation for low carbon development. This is followed by key issues for low carbon development in policy and practice, which is presented based on cross-cutting issues such as low carbon energy, forestry, agriculture and transportation. Afterwards, practical case studies are discussed from low carbon development in low income countries in Africa, middle income countries in Asia and Latin America and high income countries in Europe and North America. Written by an international team of leading academics and practitioners in the field of low carbon development, this book is essential reading for students, academics, professionals and policy-makers interested in the fields of low carbon development, climate change mitigation, climate policy, climate change and development, global environmental change, and environment and development. Frauke Urban is Lecturer in Environment and Development at the Centre for Development, Environment and Policy (CeDEP) at the School of Oriental and African Studies (SOAS), UK. She specializes in the linkages between energy, climate change and development, especially low carbon development, climate change mitigation and energy policy. Johan Nordensvärd is a Researcher specializing in the field of social policy and low carbon development, globalization, global climate governance and energy policy at the London School of Economics and Political Science (LSE), UK.